Did your much awaited road trip come to a jolting halt, with you having lost keys to your locked car? Or did a simple demand to get home post a strenuous day at work get spoilt when you found your car keys not proving any good? Exasperated will certainly be an understatement for what you would be feeling in such a scenario, but be assured that you do not need to be such for long. With advanced automotive locksmith services from San Francisco Lock And Key, no locked out car is very far away from a technician, anywhere in San Francisco, CA. When such a nasty lockout grins at you, the last thing that you think about is the money needed to get yourself out of it. However, this doesn’t mean that you would have to get ripped off at the hands of a costly local locksmith. 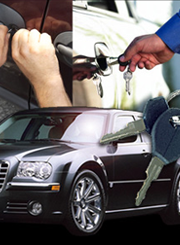 In San Francisco Lock And Key, you have an able automotive locksmith service provider, with a service model which suits the pockets of all customers. 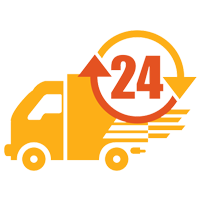 Not only are the services which we provide cost effective, but we are also able to provide you with some of the most technically sound locksmiths, who can handle even the most intricate of lockout situations for you. When you look at the security systems in the newer models of all the above makes, it will be clear that it is only an able and qualified automotive locksmith service provider who can do justice to them. With San Francisco Lock And Key on the job, you have some of the most technically sound locksmith professionals assisting you, for whom handling complex automotive lock & key issues is now a norm. Not only do we make it a point to provide deep coverage of our automotive locksmith services, we also make sure that we have only the best locksmiths sent over to your aid. Get in touch with us today!